Gilkey windows reviews can help to determine if they are the right brand for your home before buying replacements. The experiences of other customers can give you an idea of the product and company before you purchase these windows. It’s been almost a year since we got our windows. The gas bill did go down by almost a third but they are so fiddly. Sometimes I have to open and shut them several times to stop the whistling where some air is getting through. The sound is really annoying even though it only happens when the wind is blowing hard. I also had problems with the installers. They were supposed to be from Gilkey but they didn’t have uniforms or marked vans or anything and that made me feel it was fishy. More on Milgard windows reviews. I’ve worked with a lot of different window products and Gilkey makes a good product. Customers are usually quite happy with them and they’re great energy efficient windows. The one thing I don’t like them is the Heat Mirror feature. It does help keep energy costs down but when it’s really hot it can distort the view. More pricing with our replacement windows cost calculator. Gilkey makes really good products. I personally don’t like Heat Mirror, but if lowering energy costs is the most important thing then you might like it. The best part is how sturdy they are. The System Boreal design isn’t the most attractive I’ve seen, but I think it’s rated for hurricane force winds. It certainly won’t fall apart and leak quickly like some bargain windows. They also offer a really good warranty and have good sales people. Both of those things tend to turn a lot of potential customers into buyers. I have Gilkeys in my home. I’ve never had any problems with leaks or anything, even after hard rains. I think most leaks and drafts are put in wrong, cause even a poorly made window shouldn’t leak if it’s sealed and caulked well. I would recommend these windows to anyone. 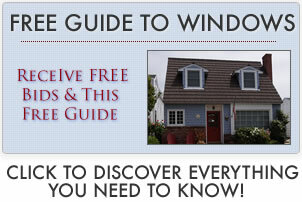 Discover more windows that get good ratings from Consumer Reports. More on Lincoln windows reviews. Have a question about your project? Email us - we've got answers to help you find a solid performing window and the best installation for your money! Copyright © 2011 - 2020 www.replacementwindowsconnect.com. All Rights Reserved.